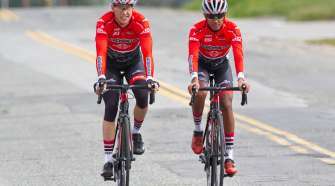 BMC's Van Avermaet Wins Tour of Utah Opening Stage - SoCalCycling.com - Southern California, Cycling, Cycling News, Amgen Tour of California, Bicycle Racing, Fun Rides, Cycling Event Schedules, Mountain Biking, Cyclocross, Cycling Photos, Cycling Videos, Interviews, Product Reviews. Greg Van Avermaet (Belgium) launched himself with little less than a kilometer to go and the BMC Racing Team found itself right where it was a year ago – atop the Larry H. Miller Tour of Utah podium with the race’s overall leader. 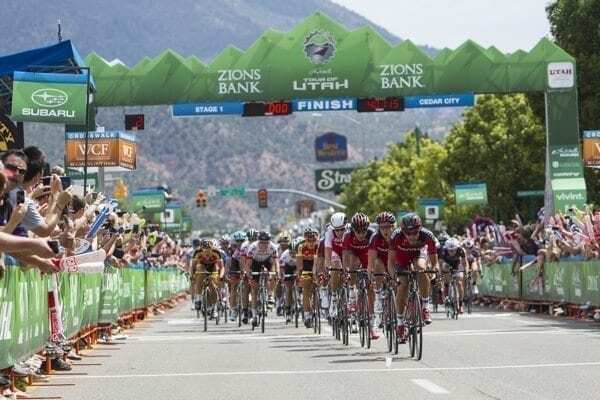 Van Avermaet’s attack on the final lap in Cedar City caught the peloton off guard as he powered away from the field to not only capture a solo victory in Stage One presented by Zions Bank, but also take the Larry H. Miller Dealerships leader’s jersey. “I saw the finish yesterday and it wasn’t such a great finish for me because it was downhill. I thought guys like (Michael) Matthews could beat me. So I tried to do it differently and went in the last kilometer. It was already hard and I attacked. I came into the last corner with a gap and then I was just pedaling to finish. 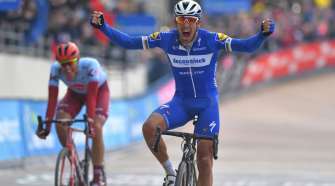 I’m happy that I won,” said Van Avermaet. The Belgian, who spent the last week in Park City acclimatizing to the altitude, is focusing on stage wins in his first appearance at the Tour of Utah. Van Avermaet is the race’s overall leader heading into Stage Two presented by the Utah Office of Tourism with Matthews second. 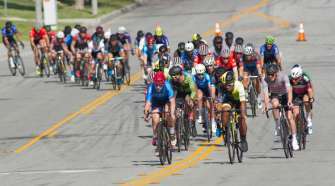 Thanks to picking up a few sprint points during his time in the breakaway, Jones is third in the general classification standings also four second back, while Magner is fourth – six seconds behind Van Avermaet. Wednesday is Stage Two presented by Utah Office of Tourism, the longest stage of the week. This 131-mile ride from Panguitch to Torrey rolls through southern Utah’s rural landscape. With 9,877 feet of climbing and scenic views from Bryce Canyon National Park and the Grand Staircase-Escalante National Monument, Stage Two will begin at 10 a.m. MT. The peloton is expected to finish at approximately 3:45 p.m. MT.